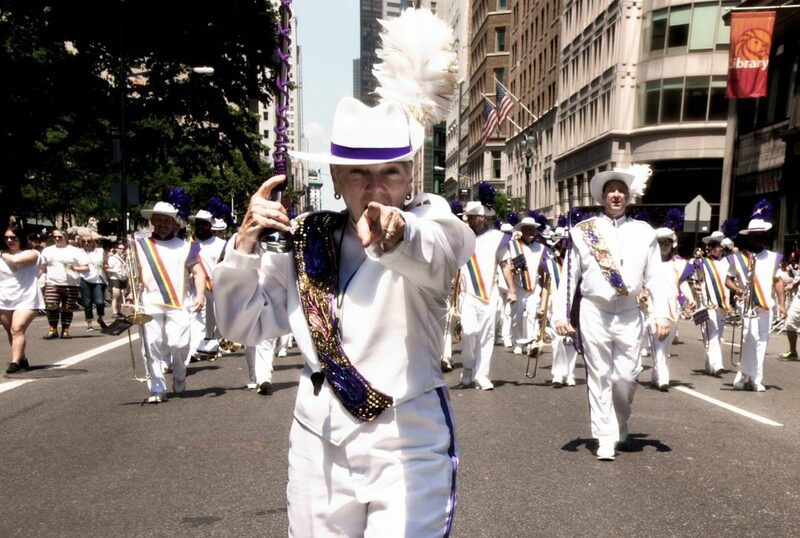 Marita Begley, the director of The Lesbian & Gay Big Apple Corps Marching Band, was born in love with all things band. From her first parade at the 1972 Miss America Pageant as a clarinetist in the Holy Spirit High School marching band on to serving as squad leader in Syracuse University’s Pride of the Orange Marching Band from 1976-1980. Marita joined The Lesbian & Gay Big Apple Corps in 1982 and has served the band well both as drum major and director for several years. In addition to her time with the LGBAC, Marita has also been honored to serve as artistic director for the international Lesbian & Gay Band Association massed band in the Village Halloween Parade (2008); to conduct The Lesbian & Gay Big Apple Corps Symphonic Band at the invitation of former artistic director Brian Worsdale (2006, 2007); and to serve as Artistic Director (2013) and drum major (2009) for the LGBA massed band in the Presidential Inaugural Parades for Barack Obama. Marita lives in New Jersey with her wife Ana, son Rich, daughter Jade, and their too many cats. She dedicates every performance to the memory of her beloved parents and godmother, as well and her dear friend and former fellow drum major Duane Allen. And she is forever indebted to her amazing fellow band members, whose talents make it possible for her to look like she actually knows what she’s doing, and to the Marching Band Goddess, who makes the magic possible.